A woman is considered the most stylish creature in the world. When we talk about styling no one can beat them. 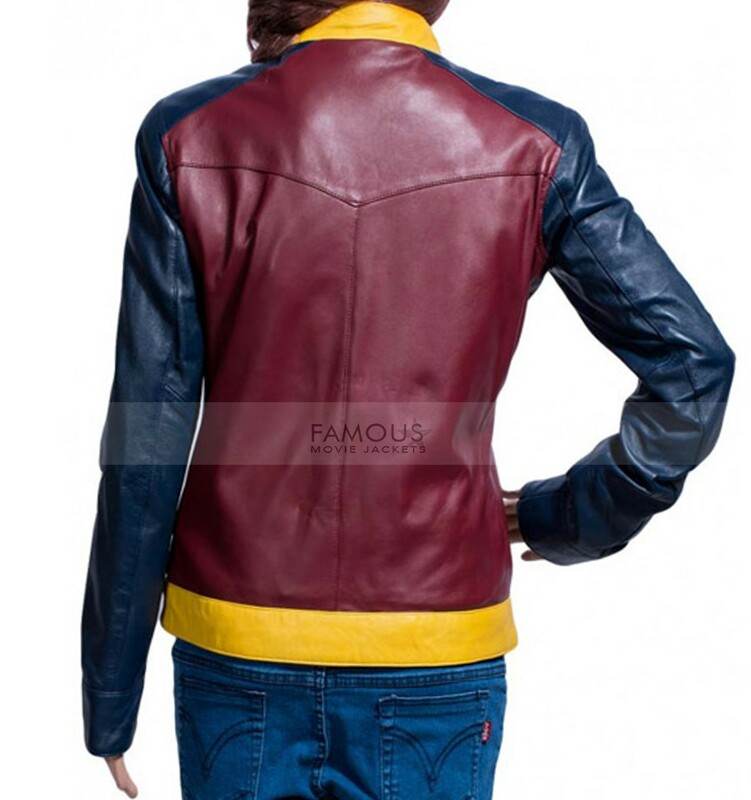 Here we present a replica jacket for our most stylish costumers which in inspired Superhero telefilm Wonder Woman and wore by Adrianne Palicki. 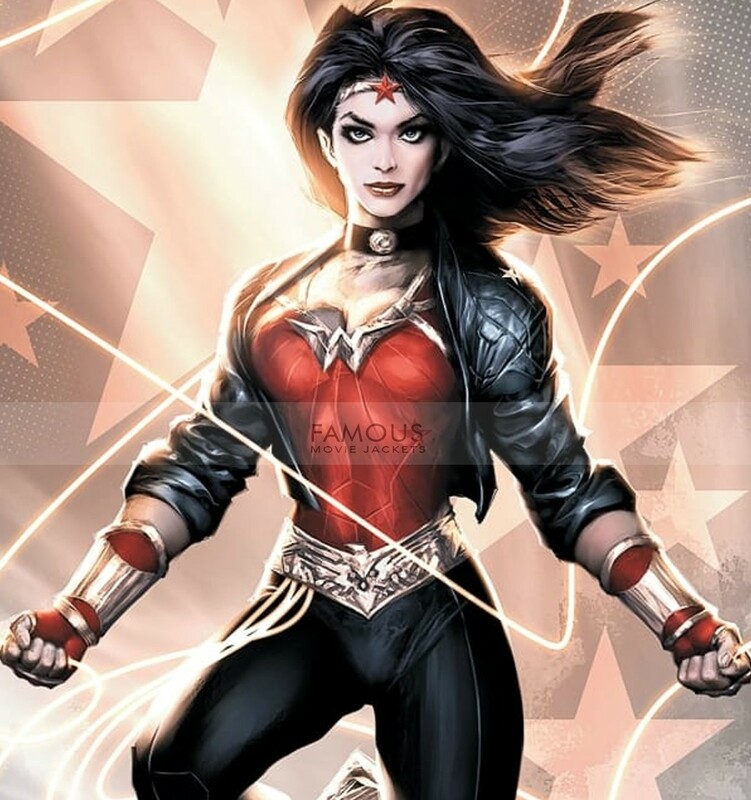 Wonder Woman is basically a television series of 2014. This stylish jacket is the same replica as she wore in the film. 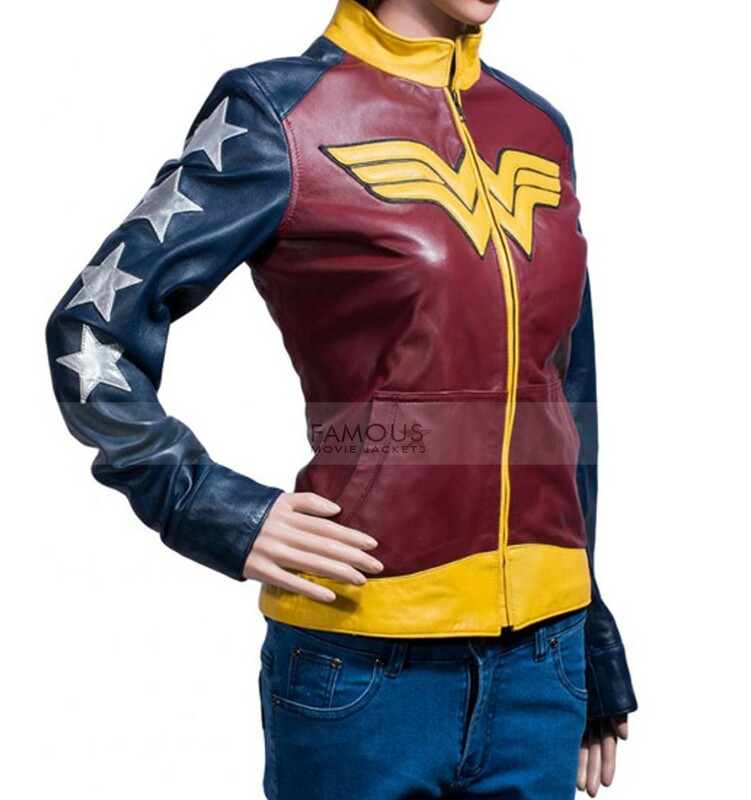 The wonder woman costume jacket is accessible in amazing maroon, blue and yellow color in real leather with the comfy viscose fabric inside. 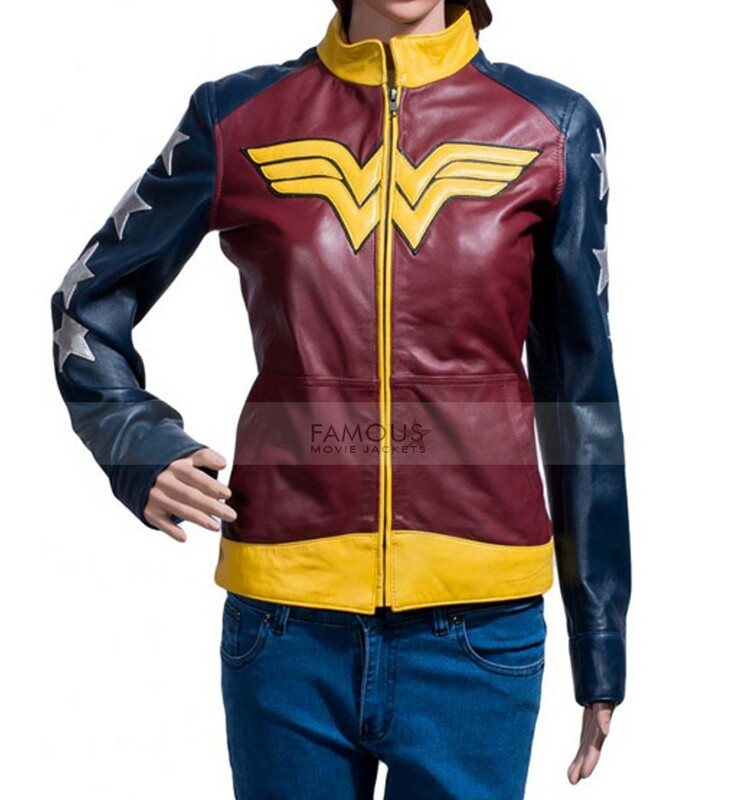 Having standup round yellow collar, front YKK branded zip closure with a logo of wonder woman which makes this attire most classy, full sleeves with open hem cuffs details with four starts on sleeves to give you a perfect look of wonder woman. So, the jacket is the perfect pick to enhance your daily casual appearance. Pick this stylish jacket and stay in grace. I cannot express how happy I am after receiving this jacket. It has a nice glossy look and best of all, it fits perfect on me. The customer support guy was also very nice and satisfying! I had some concerns regarding the size, but it came out excellent and is very comfortable.